What Is Property Division in Georgia Divorce Law? The acquiring and sharing of possessions is one of the many benefits of marriage. For that reason, it is not surprising that the settling of property matters can get highly contentious during a divorce. When parties cannot reach an agreement in Georgia, the court determines the division of all marital property. In Georgia as in all states, parties to a divorce are always free to reach their own agreements regarding property division. If the couple cannot agree, either a judge or jury determines the division of assets according to Georgia law. Georgia is an equitable distribution state, meaning that property is divided on the basis of what is "fair" between the parties. This does not always result in an even 50/50 division. Only property considered marital property is subject to division in Georgia. All other property is deemed non-marital property and remains with the spouse who acquired it. Marital property generally includes all items obtained during the marriage, regardless of whose name is on the title. Non-marital property covers any items acquired before the marriage as well as inheritances and gifts devised to one spouse only. Unlike many states, Georgia law does not specify what factors a judge or jury might take into account when determining how to divide marital property. However, because the objective is fairness, factors considered could include the age and health of the parties, the earning capacity of each spouse and the length of the marriage. In addition, non-monetary considerations, such as one spouse passing up a career to stay home and care for the children or one spouse supporting the other while he obtained an education, could have relevance to the division ratio. Additional concerns come into play regarding the marital residence. Because the actual division of a home is not practical, the judge or jury could order that the parties sell the home and divide the proceeds. Another option is awarding the home to one spouse and offsetting that amount with other property, such as automobiles or an art collection, given to the other spouse. If minor children are involved, the court must also take into consideration what is in their best interests, which requires the court to look at the children's adjustments to home and school. If one parent is ordered primary custody, the court might decide to award the home to that parent in an effort to avoid disruption in the children's lives resulting from a move. Property division in divorce can be difficult to understand in equitable distribution states because there are few hard and fast rules. Virginia is such a state. Unlike in community property states -- where courts evenly divide the assets acquired during a marriage -- equitable distribution laws give a great deal of latitude to judges to decide what is “fair.” However, some general guidelines apply. An equitable distribution state, Pennsylvania requires that courts divide marital property in a way that is fair and equitable. Homes are subject to the same rules as other assets. When considering a house owned prior to the marriage, the first question is whether it is marital property shared by the couple, non-marital property, or some combination of the two. If there is any marital value in the house, there is still the question of how much value is distributed to each spouse. The court makes this determination based on several factors, including the length of the marriage and how much each spouse earns, in order to reach a fair economic resolution. Because Texas is a community property state, courts in Texas generally divide property equally following a divorce. However, the situation is more complicated when it comes to a house. Which spouse gets the house is largely dependent on when the home was purchased as well as where the mortgage payments are coming from. In some cases, the spouse who does not get the house will instead receive a greater portion of the remaining marital property, while the spouse with the house may receive more of the marital debt. Can a Spouse Get Half of the House in a Divorce in Connecticut? 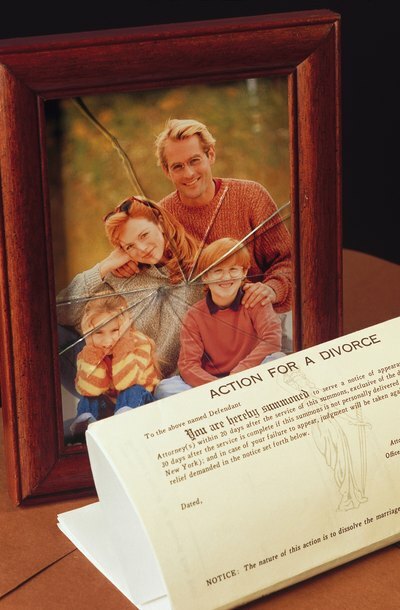 Can She Really Take 1/2 of Everything in a Divorce?